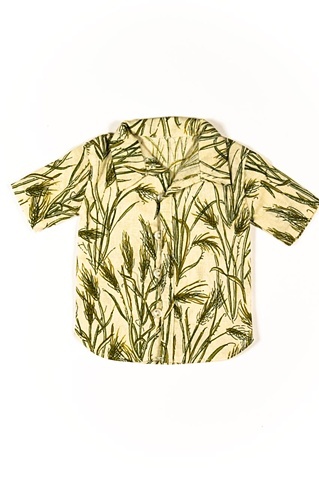 Southern Safari would be the only way to describe this pattern of gold and green wheat. This shirt is short-sleeved with a casual feel with its open collar and placket. It’s slightly tapered hemline could be worn in or outside a pair of jeans or slacks. Made of 100% cotton in a surface screen-print. from 1976.